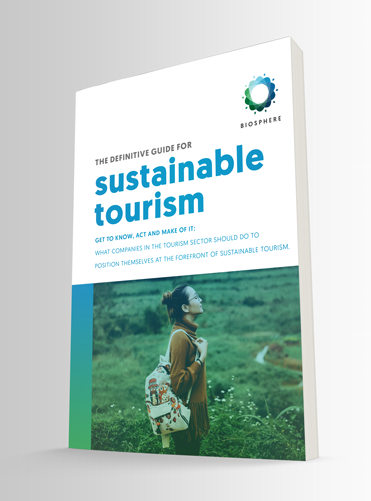 The purpose of the digital publication of Responsible Tourism Institute is to provide Biosphere Tourism customers and the general public with information about the offered services, adhered establishments, relevant news, etc. Responsible Tourism Institute reserves the right to make, anytime, modifications in the information of its digital publication, just as suspend the access at any time unannounced. Notwithstanding the foregoing, this entity makes no commitment to update immediately the information of the digital publication. Responsible Tourism Institute assumes no liability derived from the contents of third parties with links referring to these pages. Responsible Tourism Institute accepts no responsibility derived from any damage or injury of the user’s software and hardware because of its access to the digital publication or because of the use of the information and applications on it. Responsible Tourism Institute is the owner of all the software rights of the digital publication, as well as the industrial and intellectual property rights referred to the contents which are include, except for products and services rights that are not property of this entity, whose brands are registered for its respective owners, and are recognized as such by Biosphere Responsible Tourism. No material of the digital publication could be reproduced, copy or publish without prior written consent of this entity. Responsible Tourism Institute shall strictly preserve the confidentiality of the personal details given by the visitors of the digital publication, through the observation of the current data protection regulation, and among others, the provisions of the Organic Law 15/1999, 13th December, of Personal Data Protection. If you would like to contact Responsible Tourism Institute send an e-mail to info@biospheretourism.com or call (+34) 902 929 928. All information received by this page, such as comments, suggestions and ideas, shall be considered granted to Responsible Tourism Institute free of charge. Please, do not send information that is not suitable to be treated in this manner. 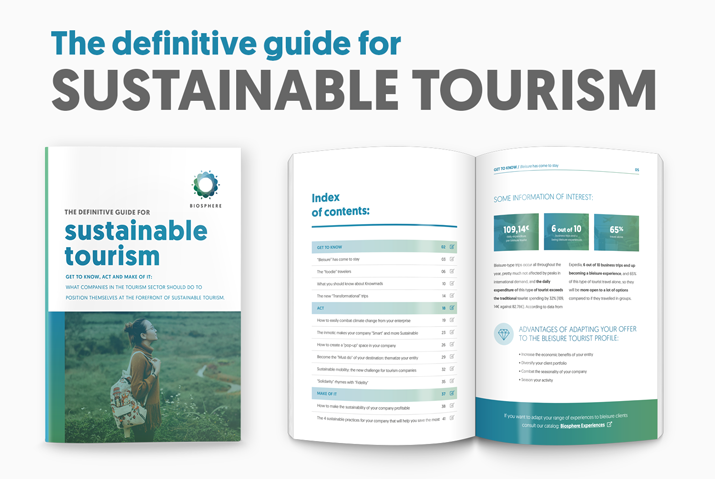 Any product and service of these pages which are not property of Responsible Tourism Institute are registered brands of their respective owners and recognized as such by Responsible Tourism Institute, showing up in this digital publication for the purposes of advertising and compilation of information. The mentioned owners could ask for their information for modify or remove. Moreover, the appearance of these third-party brands does not necessarily imply their recommendation. Responsible Tourism Institute commit indefinitely not to disclose to third parties any confidential information that has been provided. The confidential information is that which has been provided by one of the parties to the other indicating that it is confidential, provided that such information is not public domain.